LUND’s RX-Rivet Style™ fender flares are the perfect addition to Jeep Wranglers, creating a bold, unmistakable appearance. 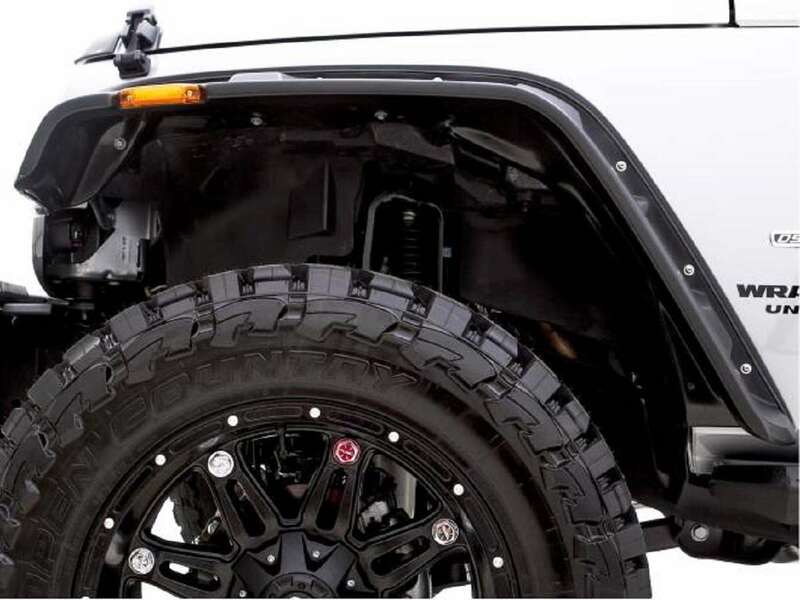 Designed for larger tires and wheels, LUND’s RX-Rivet Style flares will help transform your Wrangler into an off-road, rugged-appearing machine, while shielding your paint from road debris. These flares also feature an inner liner that fully encloses the underside of the flares, providing a clean look and protecting exposed sheet metal in the wheel well. 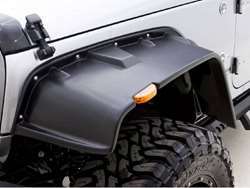 This distinctive fender flare is designed to not only add a rugged, off-road look, but also protect the sides of your vehicle from road debris and harsh outdoor elements. LUND’s RX-Rivet Style fender flares are made with a Tri-Flex™ ABS thermoplastic material to allow for maximum durability–providing a dense, hard and scratch-resistant surface, flexible enough to bend instead of shattering. It’s also UV-protected, so it will not chalk over time. This flare is built to last and is backed by a Limited Lifetime Warranty. LUND’s RX-Rivet Style flares are available in a smooth black finish or a LUND-exclusive black textured finish; both are paintable. Maintenance is easy - you can use any detergent you use to wash your Jeep to clean the flares as well. 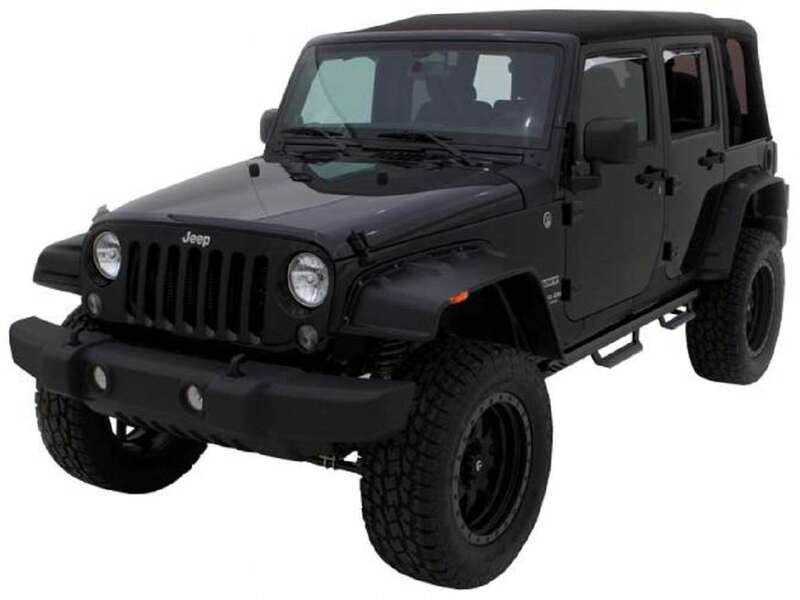 This style is supplied with stainless steel or powder-coated black bolts, giving your Jeep an industrial and aggressive style. Easy to install with no drilling required, LUND RX-Rivet Style fender flares mount to existing factory drilled holes.